At present, The market of China's crushing equipment manufacturers is very extensive, including various industry like chemical, mining, construction, water conservancy, metallurgy, coal, glass and so on. To the user of crushers, efficiency of crushing equipment is a very important part, but the factors that affect the efficiency of the crusher, what does? 1 Composition of materials that crushing equipment need crushing, the number of contained in materials impact crusher directly, because these fine powder tend to stick in the crusher thus affecting the transmission. So the much amount of fine powder should advance once sieve. 2. The bigger Viscosity of materials that crushing equipment need crushing, the more likely adhesion. 3. 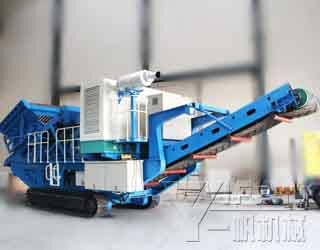 Hardness of materials that crushing equipment needs crushing. The harder the material, the more difficult crush, the more damage to the crushing equipment, thus the speed of crushing will slow down, which result decreases of crushing capacity. 4 fineness of the material that crushing equipment need crushing, the higher requirement to fineness that crusher produced, the smaller crushing capacity. Zhengzhou YIFAN Machinery as one of the leader manufacturer of crushing and screening equipment, self-developed jaw crusher, impact crusher, mobile crushing plant and other high-efficiency crushing equipment, welcome your consulting.